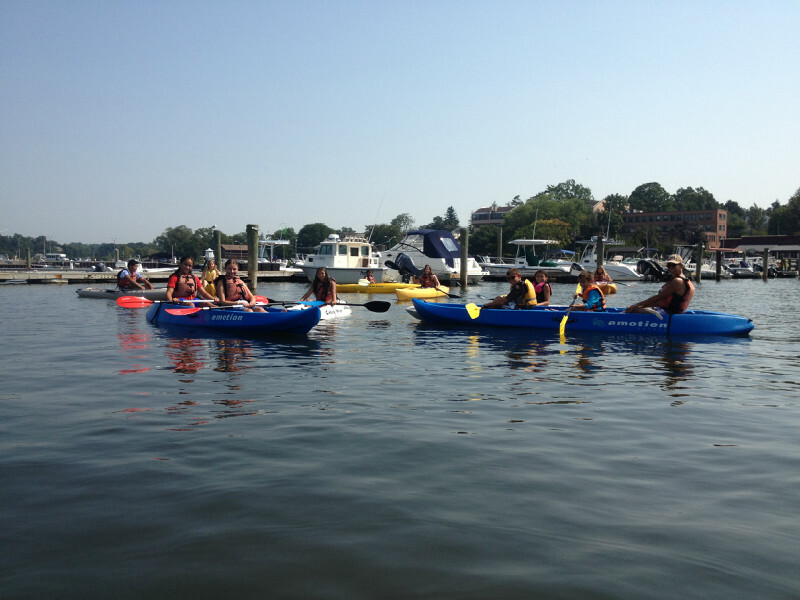 Enjoy Port Washington and Manhasset Bay with a fun water sport like kayaking or paddleboarding! Photo: Atlantic Outfitters. Come join the wave of people going out on the water through kayaking and stand-up paddle boarding. It is the latest and fastest growing part of the watersport space. It is fun for the entire family, and Port Washington is one of the best and safest places to kayak and paddleboard, right within the confines of the protected waters of Manhasset Bay. Paddle around see history before your eyes, including the Gold Coast mansions, nature and the osprey nests, all right before your eyes. For those who love fishing, take a rod and reel and get the catch of the day right from your kayak! If you need lessons, they are available from the vendors so that you are safe when you journey out. Located on famous Inspiration Wharf, Atlantic Outfitters is the town’s largest renter of kayaks and paddleboards. They have a wide range of large and small kayaks along with different sized paddleboards to fit almost everyone’s needs. They also have two row boats available, all for rental 7 days a week. Their row boats can easily handle three adults, or two adults and three children. The boats can also accommodate two sets of oars, so two people can row. Row boats also have two rod holders in the stern that can be used to troll for fish while you row or for an umbrella to provide some shade. Want to learn how to kayak or paddleboard? They will offer you lessons so your whole family can join in the fun! Make sure to call and make a reservation on the weekend.